The class will focus on the fundamental techniques of jazz. There will be an emphasis on proper placement through a series of jazz barre exercises which will then be applied to across the floor combinations. The class will then end with a centre floor combination allowing dancers to experience a less technical side to jazz dancing and give them the opportunity to explore their own movement abilities. Proceeds from this Drop In Dance class will go towards the GoFundMe campaign supporting performer Julie Martell (Donna in Mamma Mia, Belle in Beauty & The Beast, Neptune.) Julie was recently diagnosed with a rare form of breast cancer is undergoing chemotherapy. The drugs she needs to take are not covered by her health plan. We are honoured to join the hundreds of donors to this campaign and dance for Julie. Cynthia has over 20 years of dance experience both as a performer and teacher. Her training includes various forms of dance such as ballet, jazz, contemporary, tap, and musical theatre. As a student with the Cape Breton School of the Arts, Cynthia had the opportunity to study under the ADAPT Dance Syllabus (Associated Dance Arts for Professional Teachers) and work closely with creator and founder Brian Foley. To date, Cynthia is one of two dancers east of Montreal to complete her advanced professional jazz examination under this syllabus. At the age of 15, Cynthia was selected to join the Candance National Dance Team to perform in Spain, in her early 20’s trained at Toronto Dance Theatre and continues to take classes and intensives throughout the country and the US. In 2015 Cynthia completed her training in Toronto to become a certified jazz and tap dance instructor through ADAPT. She continues to teach dance in Cape Breton, choreographs many shows for The Savoy Theatre (Glace Bay, NS) and is the Resident Choreographer at the Highland Arts Theatre (Sydney, NS). Vokey is also a certified Barre Instructor and teaches for Breathing Space Yoga Studio. Cynthia most recently had the opportunity to work with Neptune Theatre’s Artistic Director Jeremy Webb on the Savoy Theatre’s production of Beauty and The Beast. Recent credits include, Disco Nights (Highland Arts Theatre), Beauty and the Beast (Savoy Theatre); Dream (Highland Arts Theatre);The Nutcracker (The Savoy Theatre). 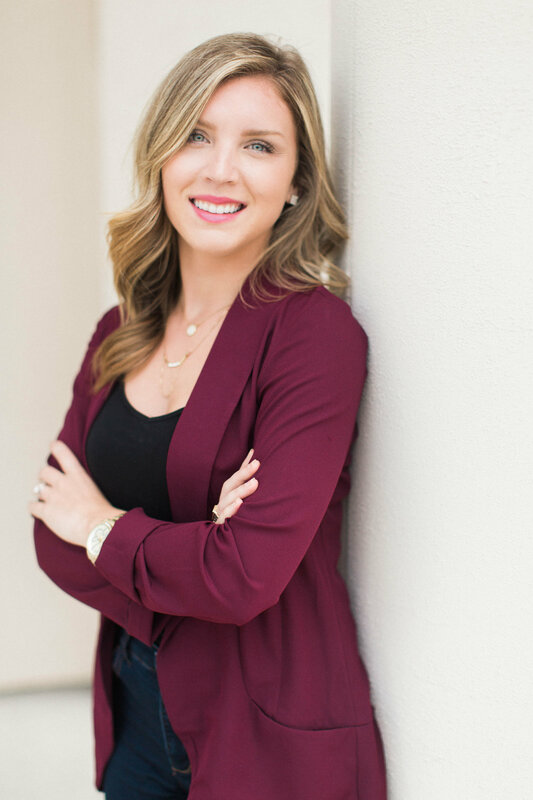 Cynthia also holds an Arts Degree and Business Degree from Cape Breton University and is currently enrolled in her Masters of Business Administration through Dalhousie University. Cynthia is also on the Board of Directors for Dance NS. 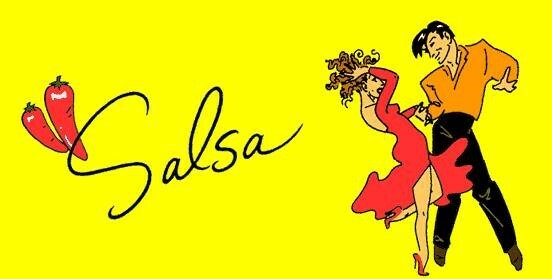 Tea & Tango, a social dance program for ambulatory people living with neuro-motor challenges will open its doors and dance floor to anyone who is interested to explore the Argentine Tango walk. 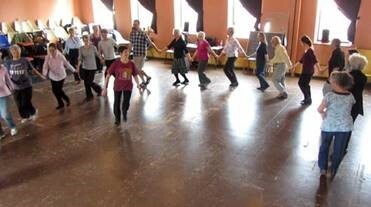 The program is tailored to seniors with and without dance experience - come with or without a partner, be open to dance with someone you have not met before and enjoy our tea break with treats, perhaps making new friends along the line of dance. A Free drop-in class in partnership with Dance Nova Scotia and Halifax Public Libraries. 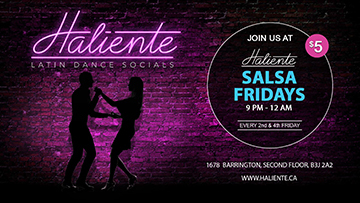 Explore and practice the Argentine Tango Walk. Engaging in dancing while gaining better balance, gait, and posture makes for a funtastic way to fight off brain-aging as well as the risk of falling. No registration necessary. For details visit Halifax Public Libraries website. 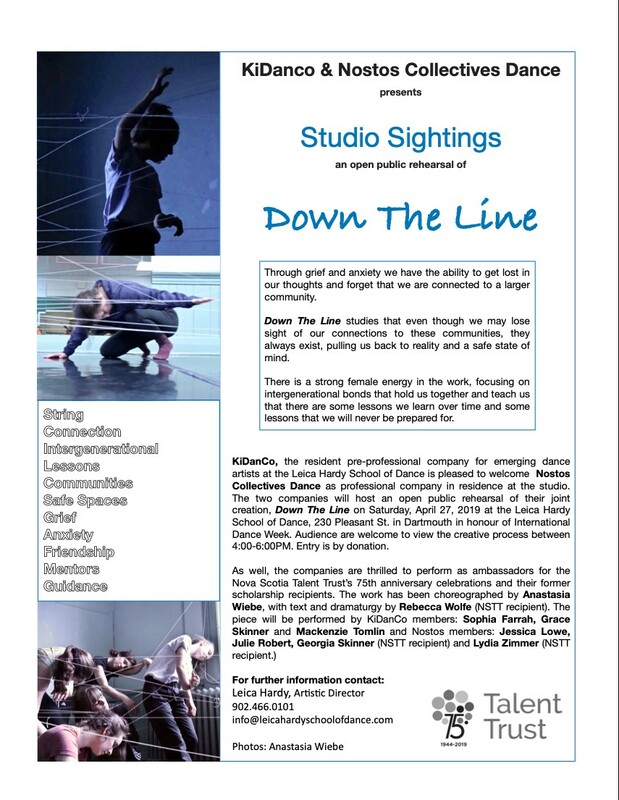 Live Art brings the elastic, thrilling, and always-alluring RUBBERBANDance back to Halifax. Vic’s Mix spans the immense creative territory of Victor Quijada, extracting a number of jewels from his repertoire. Through remixing his own work, Victor continues to explore his creations through a prism of influences. 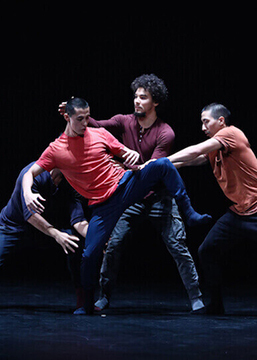 From hip-hop to contemporary dance, Vic’s Mix is a watershed moment – a look back at what has established the company’s choreographic identity through a modern lens. 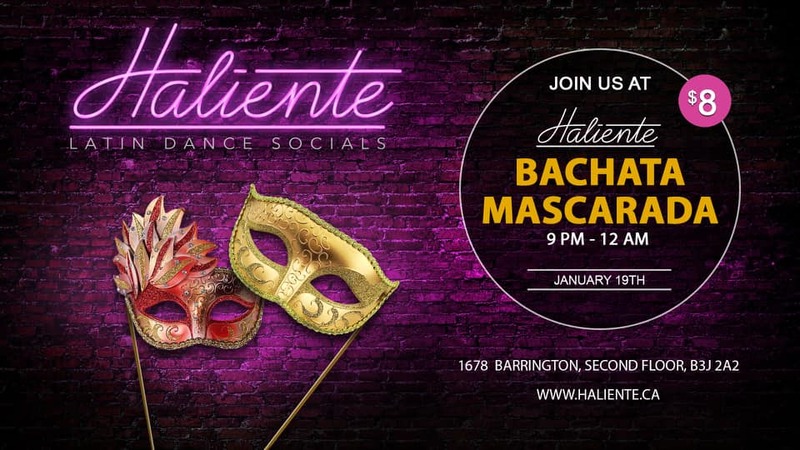 Come to our regular weekly socials! DalKing's Swing Dance Society (DSDS) is a Dalhousie University and University of King's College student society dedicated to promoting and organizing swing dancing in Halifax, NS. 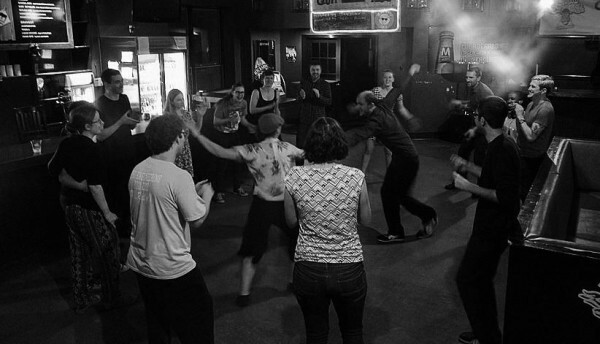 We aim to foster swing dance in all of its forms including Lindy hop, blues, Charleston, balboa, and more. 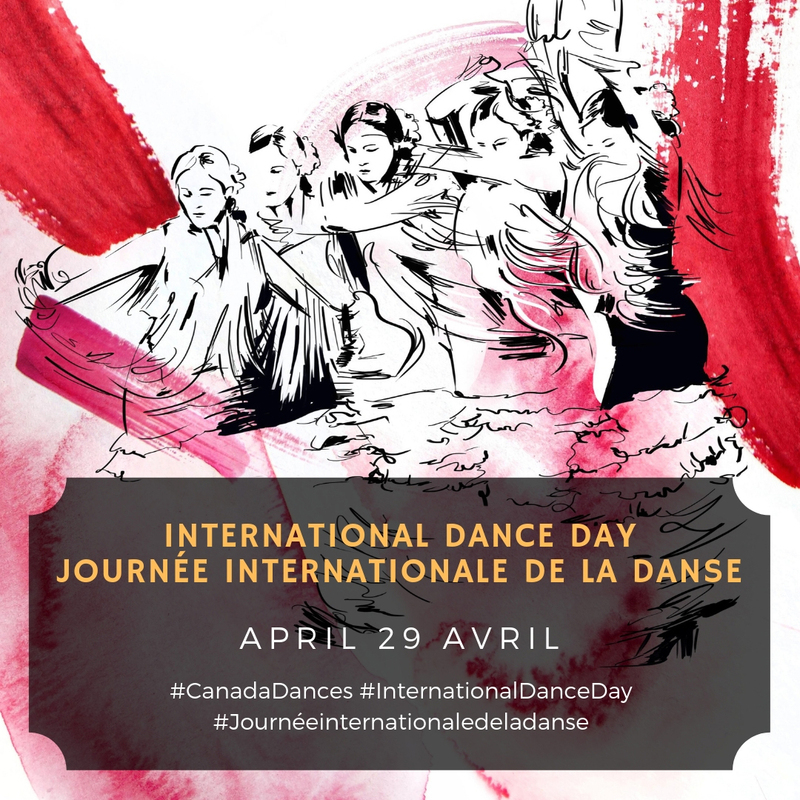 We gladly welcome community members and university students from all over Halifax (and beyond) to come and enjoy this dance we all love. Luciana is a director, actor, and dancer. She has spent 2018-19 as a director as a part of the Chrysalis Program at Neptune. Luciana grew up as a good Brazilian, dancing samba, forró and funk carioca as soon as she could stand. At 12, she started learning to belly dance and never stopped, having trained here under Laura Selenzi and in B.C under Nath Keo, who is the choreographer of Sacred Centre Dance, a troupe she has been dancing with for the last two years. Undeniably latina, Luciana also enjoys Salsa and Bachata. In most recent years, she has been extending her physical vocabulary practicing hip hop and contemporary.Particularly interested in fusion, Luciana is interested in how different styles can be brought together to create new and consistent physical vocabularies, having performed samba/belly dance fusions and belly dance/contemporary fusions, as well as having integrated dance in her physical theatre practice. Edwidge has been leading and teaching folk dance in Ottawa for many years. She has top-notch styling and teaching technique and a broad range of repertoire. EMAIL (dschlosb-g@ns.sympatico.ca) OR TELEPHONE (464 1288) FOR MORE INFORMATION. Craft Beer will once again meet Craft Dance - this time for International Dance Day on April 29. Join Mocean Dance from 5-8 at Good Robot to celebrate or just show us your best robot impression! $1 from every Good Robot beer sold all day will go towards supporting our outreach activities as we bring dance into the community. Studio Sightings - April 27th, 2019 4-6 pm. Saturday April 27th at the Basinview School in Bedford. This competition includes Traditional Highland Dance events as well as Highland Choreography competitions. Doors open at 8: 30 am, all are welcome! 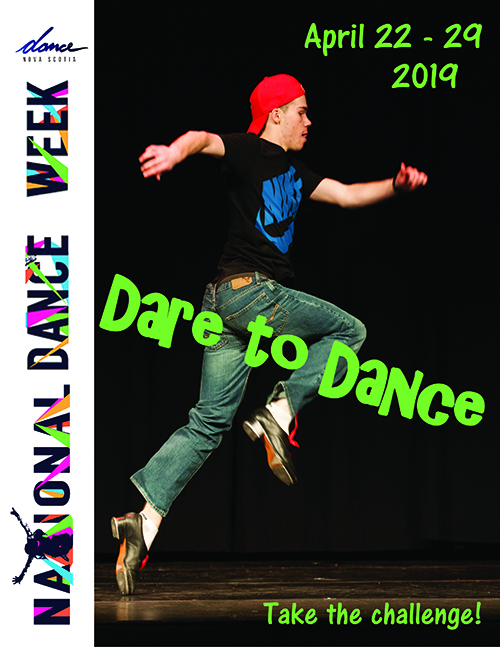 During NDW, Dance Nova Scotia issues the popular Dare to Dance challenge to schools across the province. Thousands of individuals enthusiastically participate. The challenge itself is simple: Get your school dancing for a total of 20 minutes of dancing during National Dance Week. Students, teachers, staff – everyone joins in.